I was first introduced to the musical powerhouse that is Alice Smith several years ago at what would be the last Black Lily Festival (RIP). Black Lily, based in Philly, was a multi-day event showcasing the best in women’s artistry: music, film, visual arts, and more. That last festival in 2008 would be the only time I got to see Amy Winehouse perform. But this ain’t about her! I still remember being completely awestruck as Alice, a tall, striking beauty took the stage in jeans and a ponytail and blew me away with her four octave vocal range. I don’t remember what she performed. She likely performed music from her debut album, For Lovers, Dreamers and Me (which you can stream on Spotify) which was released back in 2006. I just remember how the music made me feel. And I never forgot her name. After a long absence from releasing new music —though not from performing— (thanks Industry Rule 4080! ), a year ago, I saw posts about a Kickstarter for a new album she had in the works. I now want to kick my damn self for not getting around to supporting it because as soon as I pressed play, SHE went on my “Best of 2013” list. There is not a single song on this album I don’t like. Did you hear me? There are absolutely no skips here. It’s a stone cold groove from the first to last note. If this is what crowdsource funding for an album produces, more artists need to get into it! You’ve probably seen or heard the killing she put on Cee-Lo’s “Fool For You,” which has been floating around the interwebs for over a year. [Watch here] So glad that gem made the album. I’ve seen so much excitement about this album from my real music loving friends all across social media. I’ve also seen a lot of “I’ve never heard of her!” That’s why I’m here — to let you know that you need to get familiar quickly and cop the new album today! 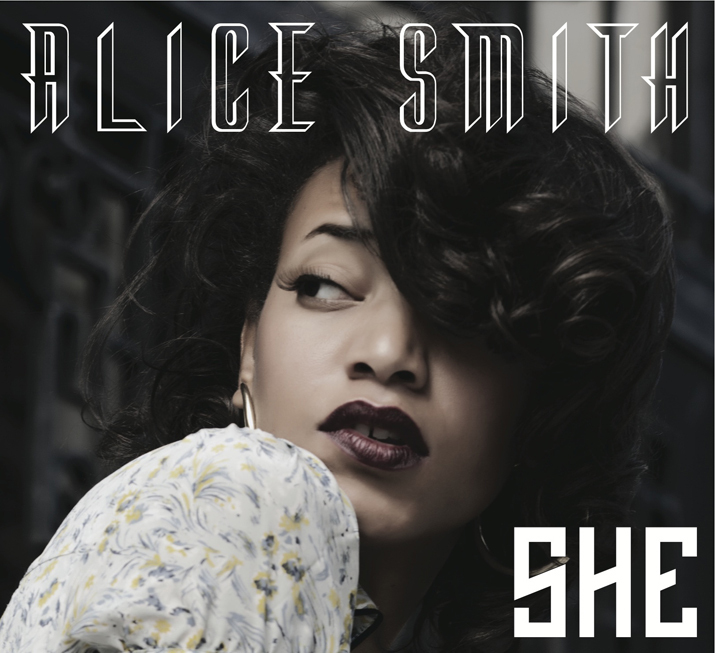 Alice is also touring so stay locked in to her website, Twitter and Facebook feeds to see when she is coming your way. Her stage presence is mesmerizing and this is an album you’ll definitely want to see come alive on stage. DC music lovers, we’re fortunate to have her in the area twice in the coming weeks so get your tickets now! Support real music. Cop SHE today and spread the word!